CarGurus has 114,167 nationwide Escape listings starting at $1,250. Updated styling helped the 2005 Ford Escape expand its share of the US SUV market. Another key factor was its commitment to fuel efficiency; the regular Escape offered good gas mileage, and a much-touted hybrid model even more so. Despite its relatively small size, though, it managed to fit five adults in reasonable comfort, and hold 33 cubic feet (with rear seats up) or 63 cubic feet (with rear seats folded) of cargo. The entry-level engine for the '05 Ford Escape was upgraded at last, to a 2.3 liter, dual overhead cam inline-4 with an output of 133 horsepower and 155 lb.-ft. of torque. Still available as an option was the 3.0 liter, 24-valve Duratec V-6, with its healthy 200 horsepower and 200 lb.-ft. of torque. 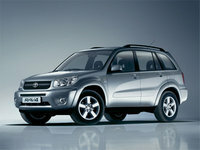 The 2005 Escape hybrid featured a 2.3 liter Atkinson-cycle dual overhead cam inline-4 with a 330-volt electric motor. ABS front-disc brakes gave the Escape great stopping power, and optional front-side airbags added security. Don't be fooled by the outdoorsy style of the '05 Escape; even with the V-6 and all-wheel drive options, it's not really powerful enough to do much off-road adventuring. Still, if you're looking for a compact SUV with a roomy interior and good gas mileage (18 mpg city, 23 mpg highway), the Ford Escape may be a good choice for you. 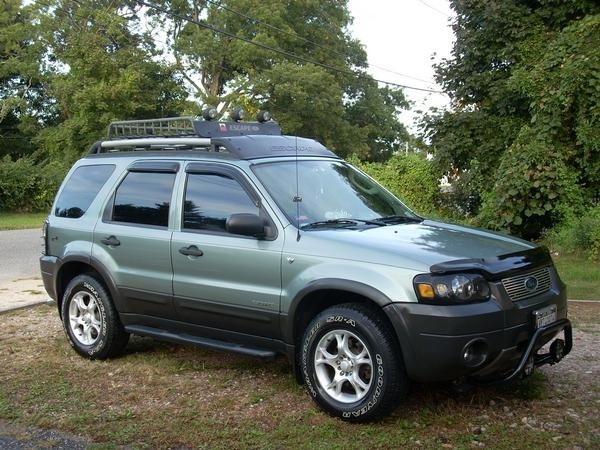 What's your take on the 2005 Ford Escape? Robert I've owned a basic 2005 Ford Escape with the 4 cylinder engine, 2WD, and a manual transmission for over 7 years and I have to say that (with good maintenance) it's held up to hard use very well. I wanted a simple, flexible vehicle, less expensive than a Subaru, that would carry passengers or cargo equally well and have enough ground clearance to handle unpaved and even rough roads. I've hauled bicycles, furniture, wood, and babies in this thing and it's swallowed them all. It's a shame that Ford eliminated the quick-release back seats in the newer models, because this feature added a lot of cargo room when you didn't need the rear seats. The 2005 is OK for mild offroading, but the manual transmission isn't geared all that well for it with rather high stall speeds in first and reverse - the automatic would actually be better. Performance with the 2.3 liter engine isn't impressive, but fuel economy has been great - with a light load, it's easy to exceed 30mpg on road trips. I still own the car with 145,000 difficult miles and it's held up well - still has the original clutch, in spite of a lot of off-road abuse. Have you driven a 2005 Ford Escape? Replaced rotor and caliper but still driving with right front brake on. Could it need brake line?